What do you call a castle that's located in Idaho? 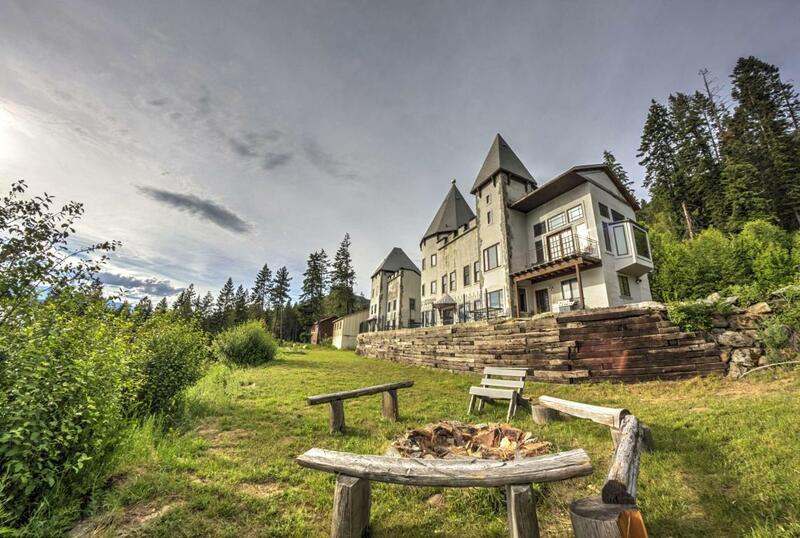 Located in Hope, Idaho, this architectural beauty sits on a pretty 1.28 acres, but the adjacent lot is also on the market for purchase, in case you wanted to take the estate to the next level. Consisting of around 5,700 square feet, the home might be smaller than most castles you imagine, but what it lacks in space it makes up for in royal-worthy features. The ceilings are adorned with wrought-iron chandeliers, which can be followed by the eye as you walk up one of two separate spiral staircases. Like any standard castle, there's an accessible tower room which you can walk to on the custom-made stone floors. The home also boasts a media room and two master bedroom suites, one fit for a king and queen, of course. It's on the market for $769,000, which seems like a worthwhile price to pay to become instant Idaho royalty.